Dr D Digs Up Ancestors: What’s your next writing assignment for Dr. D.? What’s your next writing assignment for Dr. D.? Does Ancestry think we are NOT OK? 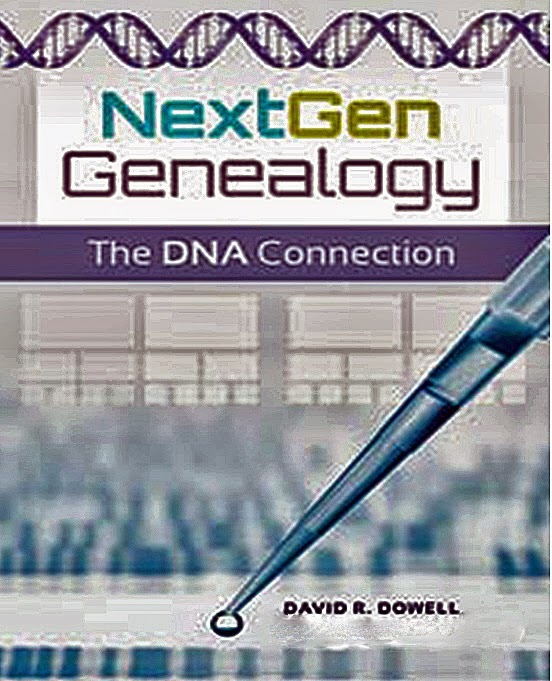 This post is addressed primarily to those of you who have read my recent book NextGen Genealogy: The DNA Connection. If you bought the book from Ancestry, I would very much appreciate it if you would leave comments – however brief – on the Ancestry site. This will help potential readers decide if the book would be useful for them. I agree with most of the comments that have been made there so far including the one about the book being overpriced. That is the result of the publishing process I used to produce the book. It strengthened the book by imposing a tried and proven structure to the process; but it gave the publisher control of the pricing. I’ll have to decide if self-publishing is a route I want to explore in future writing endeavors. The only comments with which I disagree are those that I should not have used so many family examples or that I should have disguised my personal association from these vignettes. Other readers seemed to believe these illustrated and gave strength to the book. I agree with this latter group. Over the next few months I will be considering what if anything I want to write in the near future. Originally, I had envisioned writing a trilogy: one book on genealogy research; one book on incorporating DNA results into family research; and one book on ethical issues surrounding DNA testing in both the family history arena and the medical arena. The first book became Crash Course in Genealogy (2011). The second became NextGen Genealogy: The DNA Connection (2015). At the moment I’m feeling less confident that I can add much to the overall ethical debate although this field is going to continue to heat up as more medical practitioners incorporate DNA testing into patient care. Maybe there is more I can contribute if I concentrate on extending what I have started with genealogy research. As many of you have observed, books about DNA testing are partly obsolete before they hit the street. The field is evolving that quickly. Although my recent book has a 2015 copyright date, my ability to include recent developments began to contract many months earlier. Much of the content was being frozen in ink a year ago. The field of genetic genealogy is evolving from its core in many different directions and much of this process is occurring rapidly. Among the sciences only astronomy can rival the growth rate of genetics. For both fields the explosion of informatics has allowed the processing of the huge data sets needed to support this progress. This speed of change calls into question whether books can help readers keep up with the disparate knowledge that now radiate out on tangents in all directions from a basic core of knowledge that all of us need in common. Can an author keep up with enough of these to write a useful book? Whether you bought the book from Ancestry, the publisher, another vendor or checked it out from your library, I’d appreciate your thoughts on a more focused topic. What was not covered in NextGen that you wish had been covered? What would you like to see covered in more detail? I encourage you to write me with your suggestions. You may email me at infodoc [at] ddowell.com or comment at the end of this blog post. I will carefully consider your comments as I decide on my writing plans for the future. During the television coverage of the recent US men’s college basketball spring rite known as “March Madness”, we frequently heard the phrase “one and done.” For the uninitiated that expression refers to the phenomenon of would be super stars leaving college after only one year to seek their fortunes as professional basketball players. So far second editions and sequels have not been in vogue in genetic genealogy. Is there a message here for Dr. D.? Please let me know what you think. In your next edition you could cover triangulation and its use to validate matrilines and patrilines in genealogies. More genealogy and less ancestry, which is in reality anthropology. you could also expand or flourish the Table of content which appears on the Amazon page. For the moment, we can only see the titles of the 8 chapters and browse part of each one. Why not listing subsections of chapters. We --the readers -- want to know what is covered in your book. Sure there is the index but it does not reveal the importance you gave in your book to each term/concept indexed. Voilà! You are on a roll. Keep it coming! Dave, your comments on rapidity of knowledge expansion are well-taken. That makes it almost impossible for a book to be comprehensive and authoritative. But maybe, questions change less than the answers. Is focus on the questions an idea that works?